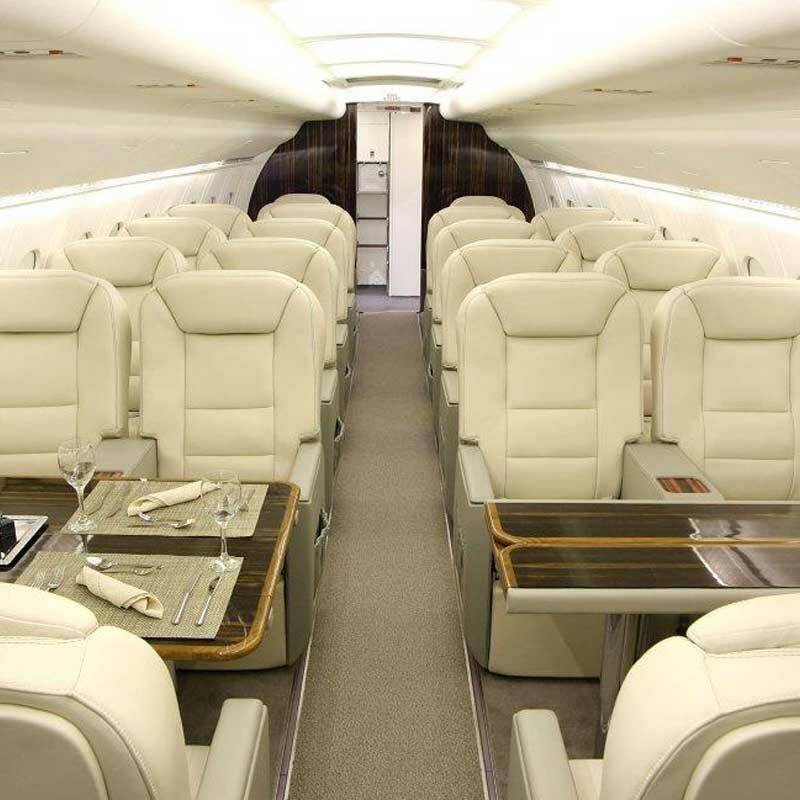 Starling Aerospace in-house interior design team specialise in commercial, corporate and VIP aircrafts. 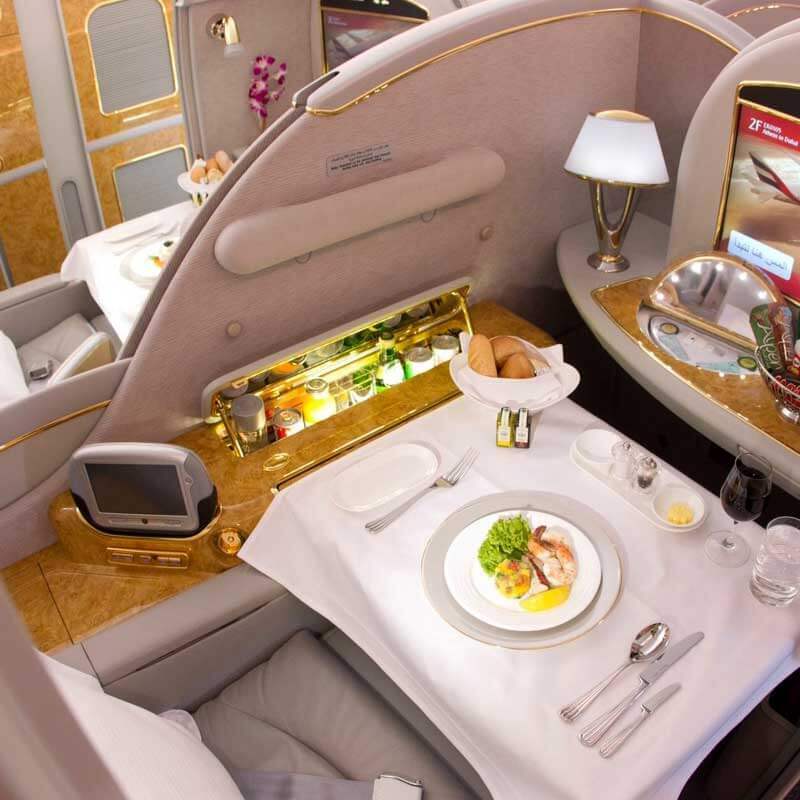 We have the expertise to produce unique aircraft cabin interiors which are well-designed, aesthetically pleasing and make intelligent use of the available space. We can also incorporate our standard product range (seating, tables, beds and monuments). Whether you are looking for the latest aircraft interior trends or wish to enhance your brand identity our team will advise you on the most appropriate finish materials that meet stringent aerospace regulations and achieve your project requirements. We have an in-house burn testing chamber and extensive knowledge of the latest flame retardant textiles, leathers, floor coverings which are suitable for aircraft interiors. Our team can also suggest alternative methods such as our in-house aqua transfer printing to achieve a desired wood, stone or other finish whilst meeting the latest fire, smoke and toxicity regulations. 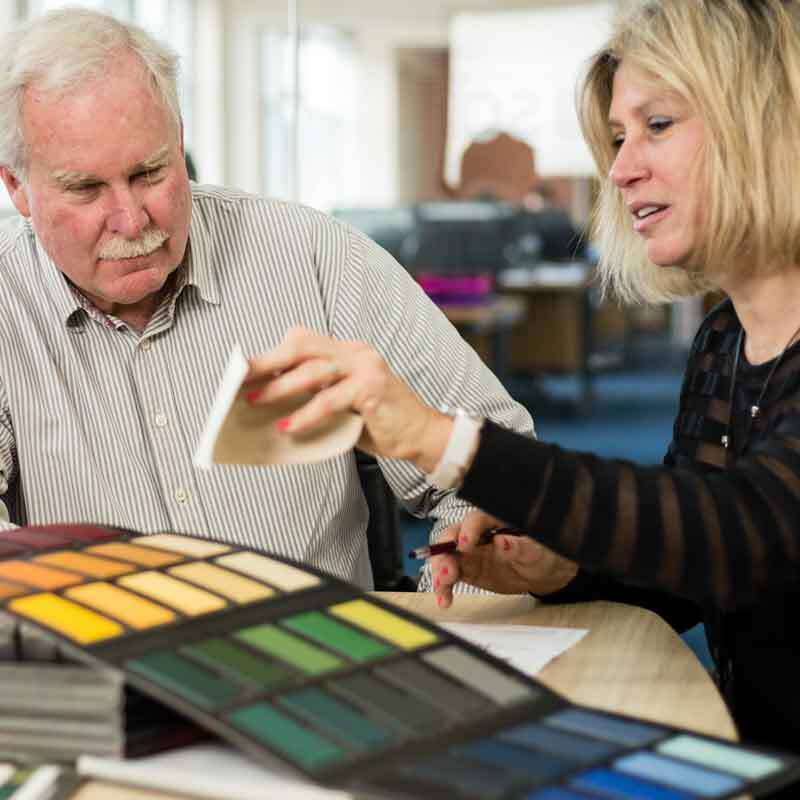 Our aircraft interior design team will work closely with you to produce story boards to establish initial colour schemes and material selection to bring your concept to life. The design team will work together with our in-house Design and Build engineers to produce proposed floorplans, and full colour 3D CAD renderings of your proposed interior. 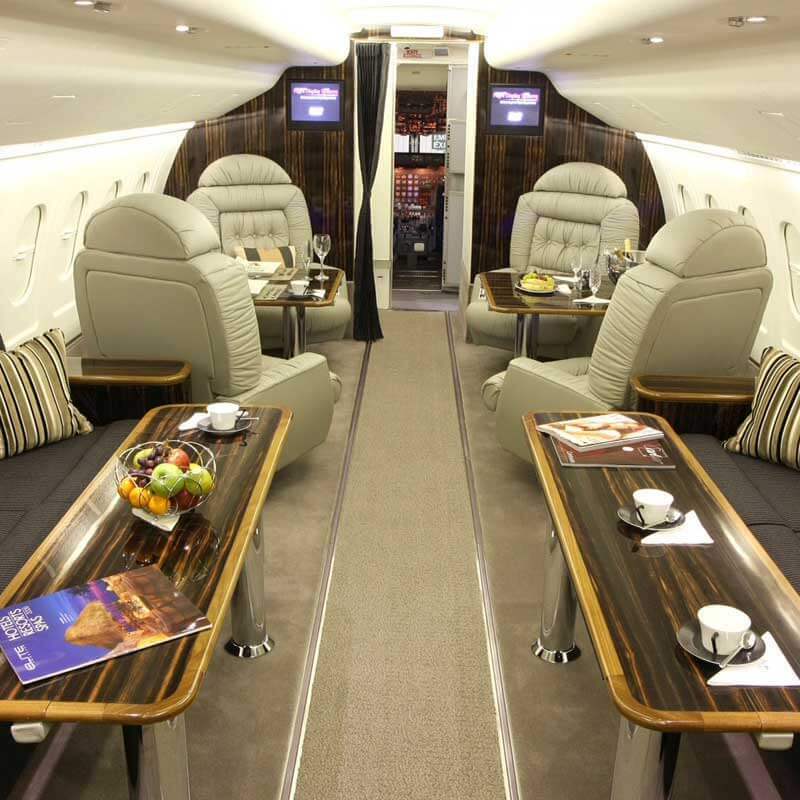 Your aircraft interior design can be implemented using our comprehensive range of in-house facilities and services to meet specification, schedule and budget.